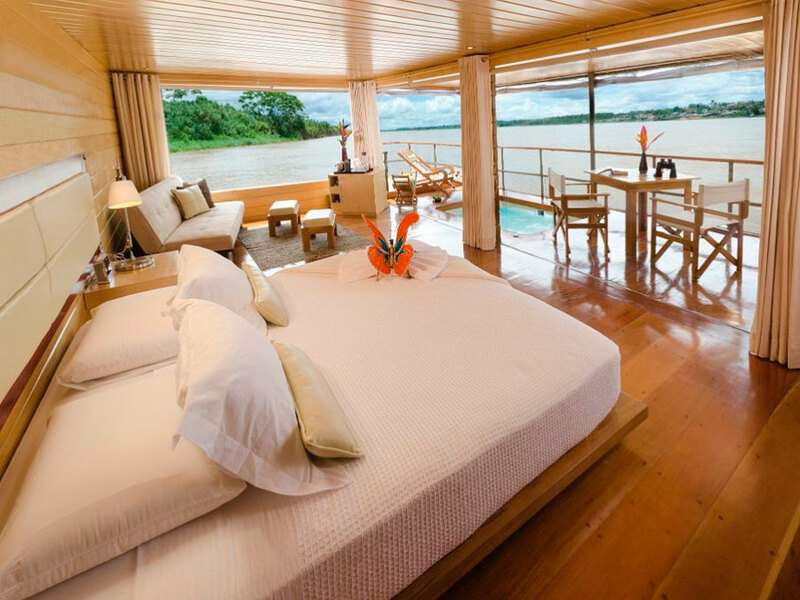 What to Wear on an Amazon Rainforest Cruise? Posted by: Ash on August 7th, 2015, in Guides. Tags: Amazon Rainforest, Amazon River, Cruises, Ecuador, Iquitos, Manaus. 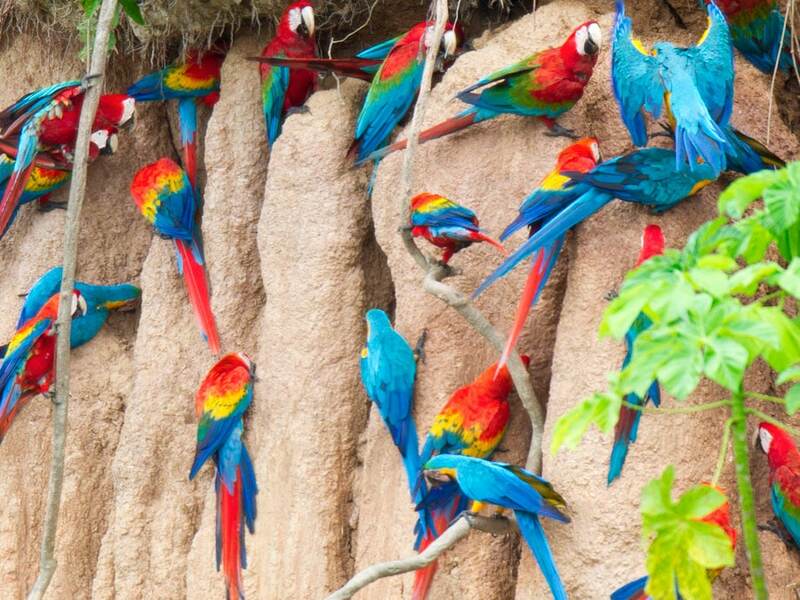 What to wear on an Amazon Rainforest cruise will be a little different than what to wear on other Amazon tours. 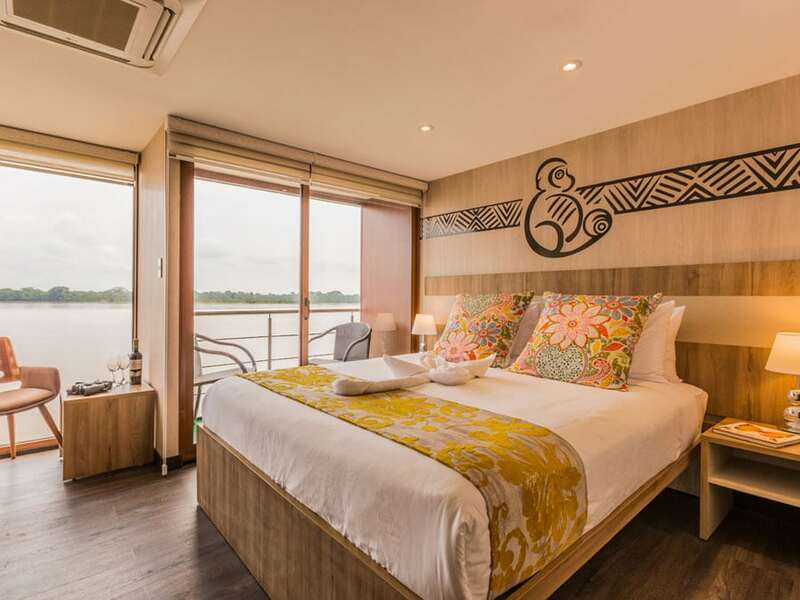 You have the convenience of air conditioning, a more secure hotel-like accommodation to return to, and aboard our luxury Amazon cruises, a dining experience similar to top of the line hotels. 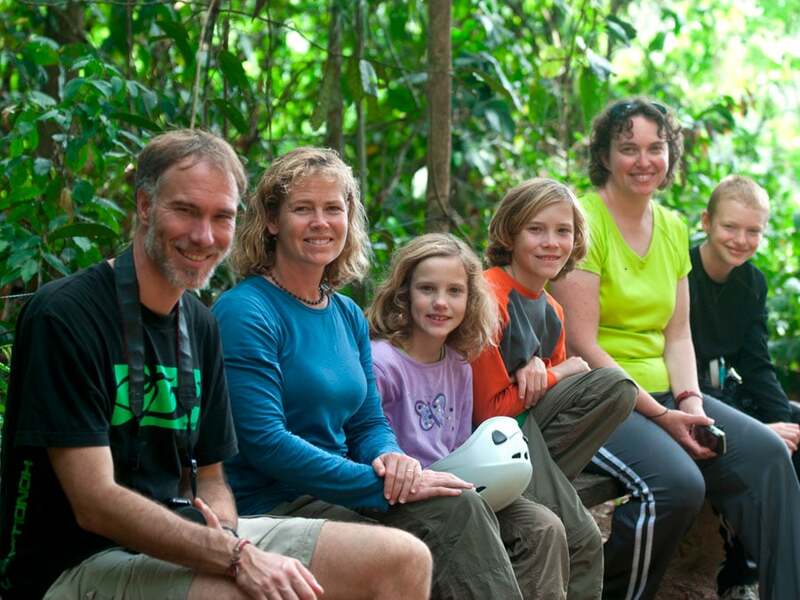 For your rainforest excursions, it’s good to stick to loose long-sleeved shirts and pants as keeping covered helps deter mosquitoes, protects against the sun, and protects against plants you will brush against in the rainforest. The general recommendation is to use cotton, but we advise trying out some other materials as well. I personally take a few different materials and have a preference for quick dry clothing. This is a very hot and humid environment with the world’s highest rainfall, so your clothing will be getting damp. You will find Amazon guides often simply use jeans and a t-shirt and your choice of clothes will be different from what another person finds comfortable. There are many trade-offs and it’s a good idea to choose clothing after familiarizing yourself with the environment. If mosquitoes and mosquito-born diseases are your biggest concern, and it is mine, then stay as covered up as possible with long pants, long-sleeved shirts, and a wide brimmed hat. If you don’t like the idea of wet clothing, then choose light, quick-dry material with a loose fit. In addition to reducing mosquito bites, this is more comfortable when damp and will dry quicker than other materials. You can then change into something more comfortable when back aboard your cruise vessel after your expedition, such as a t-shirt, shorts, or skirt. 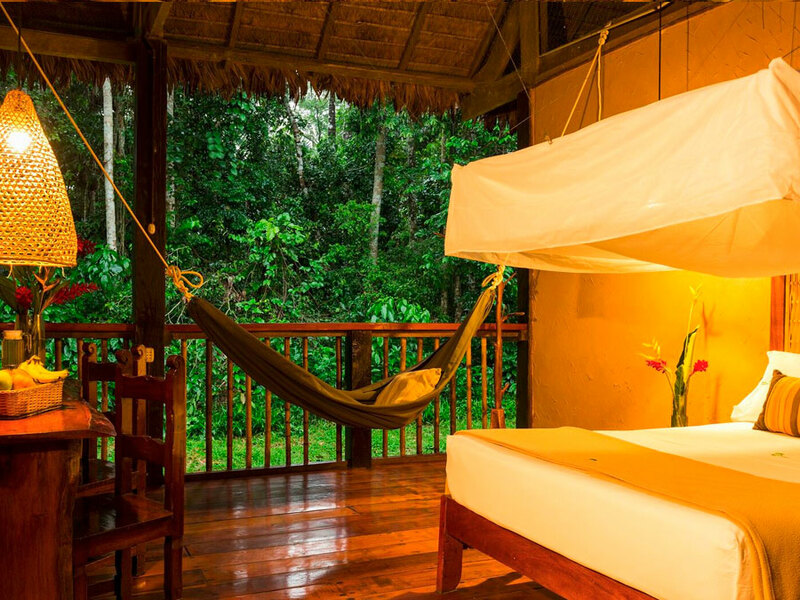 This is one of the main advantages of a cruise over a lodge as at a rainforest lodge you can never really ‘escape’ the rainforest environment. As mentioned at the top, dining on a good quality cruise vessel is a little different than at a lodge, as you have air conditioning and a more sealed dining environment. If you’ve picked one of the many luxury cruises, you can also bring some nicer clothing for dining if you choose, although, there is usually not a strict dress code. Generally, the choice is to pick your clothes dependent on what you are doing i.e. to have a set of clothes prepared for rainforest expeditions on skiff or walking tours and then another set when relaxing aboard the vessel. Plan the majority of clothes for hot weather, but remember to take some warmer clothes for evenings and early morning. 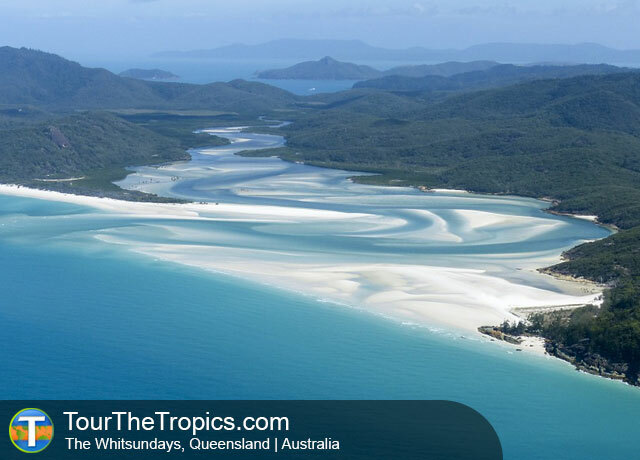 In tropical environments, the temperature drop between day and night is more than between seasons. Day times can approach a hot 90°F (32°C) at midday and then get down to 70°F (20°C) at night and early morning (getting hotter in the central Amazon rather than cruises in Ecuador or Peruvian cruises). Even if this doesn’t seem like a chilly temperature, with the quick temperature difference it can feel colder than it actually is. With this temperature difference in mind, you will probably have the option of early morning excursions (the best time of the day to see wildlife) and evening excursions (when the forest comes alive with an entirely new community of animals). Because of this, plan on taking some warmer clothing options that you can put over your ‘expedition clothing’ as mentioned further up the page. One of the most important clothing items to bring to the rainforest is a durable poncho or other type of rainwear. We prefer a poncho as it can be quickly stored in a backpack, provides a great amount of protection, and is comfortable with whatever you’re already wearing. Rain can fall at any time and isn’t simply contained within the wet season, so there may be a quick shower when you’re out on expeditions. With this in mind, always take a day-pack with a folded up poncho etc. on all expeditions to help keep you comfortable. Unlike a waterproof jacket, ponchos don’t open up at the front, which can let in a lot of water (e.g. 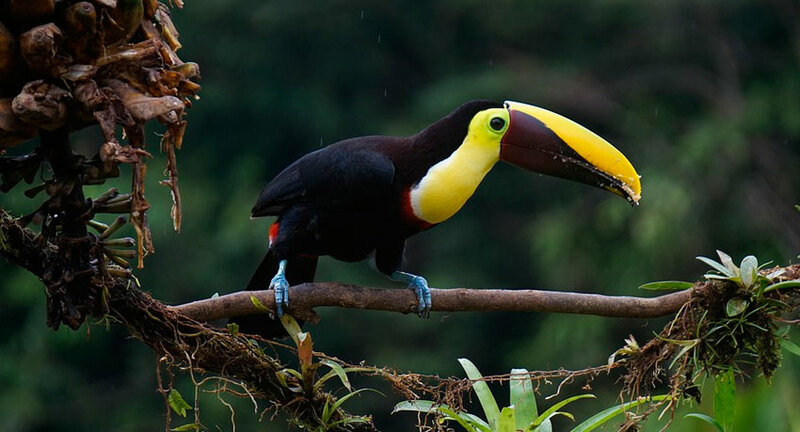 through the zip or flap) and are the choice waterproof clothing for the majority of rainforest guides. Again, like all tropical locations and especially areas close to water, mosquitoes can be a nuisance. They seem to have a preference for certain people, which may be linked to diet and other unique factors. Although reducing insect bites if good for everyone as it reduces your chance of illness, if you’re one of the people mosquitoes ‘love’ then keeping more covered up will be more important. The recommendation is to keep as covered up as possible with the suggested long-sleeved shirts and pants, with a collar to help protect your neck and sleeves to protect your arms and wrists. Dark clothing is often more attractive to mosquitoes and clothing that presses tightly against your skin will offer little to no protection. Mosquitoes can easily stick their straw-like mouthparts through the fabric. Mosquitoes seem to like dark clothing more than light neutral colors. However, white clothes will inevitably get stained when out on expedition. Light browns, beige, light greens etc. are often preferred. 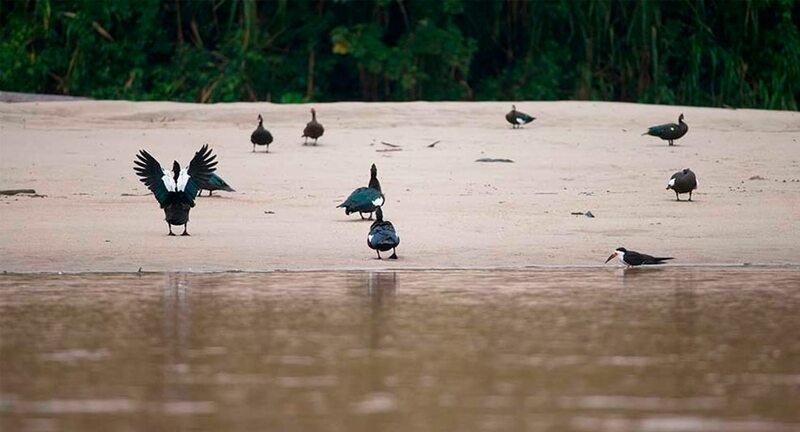 You should find that the tour will distribute rubber boots on arrival for expeditions if you’re going to be walking on the rainforest, but for boat trips and back on vessel you will simply need some comfortable light footwear. Open footwear like sandals will expose your skin to biting insects, but is a good option when back on the vessel to let your feet breathe. If walking on the rainforest, open footwear is a bad idea as you never know what you might accidentally step on. If you startle some animal, it will defend itself by attacking its predator, which in this case is your exposed foot. This is another great reason why tour operators distribute rubber boots. The tropics is where the sun is the most intense and although sometimes cloudy, the sun’s rays still penetrate cloud cover. If you’re out on a skiff etc. you will be exposed to the sun, which can get very strong. Plan on taking a wide brimmed hat to protect your face and neck, in addition to wearing sunscreen. This also shields your eyes from the sun and makes it easier to spot rainforest animals. 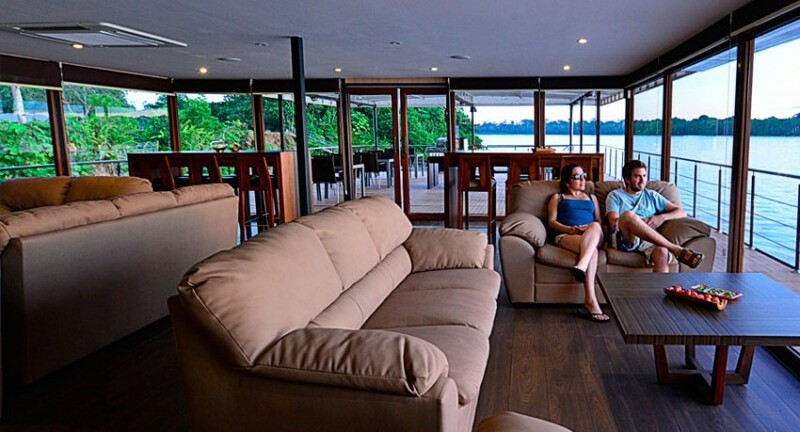 We hope this provides some more considerations with what to wear as the most important thing is to keep comfortable so you can enjoy the scenery, wildlife, and excellent service of our fantastic Amazon Rainforest cruises.